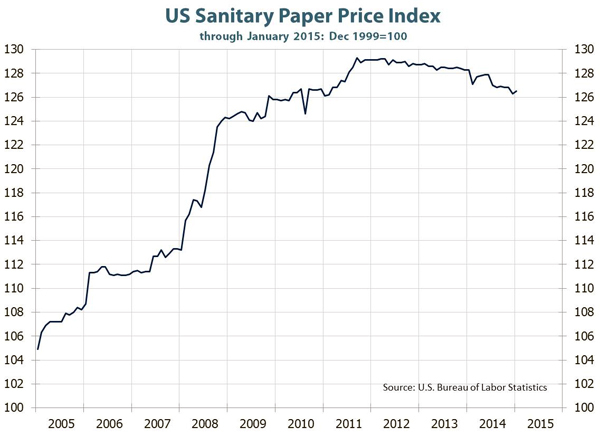 The U.S. sanitary paper price index inched upward in January, but remains near a four-year low. The graph below shows the index from 2005 through January 2015. Try it free for a month!